GLANCES at VIEWS, an album of many homes. VIEWS is Drake at his most #petty #lightskin — for he is perhaps the only rapper who can make such a sheer detail-orientated volume of lascivious chauvinism sound so damn saccharine (heads up: the guy who raps about spending money in the most wasteful of ways devotes precious listening time to a skit which lowkey shames a nameless outline of a woman who “is expensive”. He wonders “why you don’t check up on him,” but he’s also outed himself as the guy who wishes you weren’t with anyone when you finally found somebody who loves you. Petty Aubrey, you petty). Lest we get hung up though, it is also Drake at his most cunningly hip hop, which is to say #bars: “Swear I just had an epiphany/It cost me 50 at Tiffany’s/Shout out to Tiffany, Stephanie/They used to always come check for me/My enemies wanna be friends with my other enemies/I don’t let it get to me” he raps on “Hype” as the *fire emojis* fly. Like a true wordsmith, Drake elevates the most mundane elements of contemporary living into bracing, memorable, and fun-to-say-along-with poetry. Insofar as Drake himself still feels hypermodern, VIEWS is record that feels totally vital — itself a definitive W for any rapper’s fourth offering. In a sense you could say this is Drake’s best album to date, but I don’t feel it’s my favorite. For instance, Kanye West’s 808 & Heartbreaks was certainly not his best work, but it’s no surprise that it’s many fans’ favorite. That’s because the records’ introspective emotional R&B/electropop had a certain irresistible spark (a spark we love to remind ourselves is a good deal of what Drake-as-artist owes itself to). VIEWS however only begins to have a spark before it loses itself in far too many reset points, leading to what is the most obvious critique of the album — it is simply too long. When it’s working, it’s working. I mean, hell — the opening track sounds like a Bond movie intro where the Bond movie is actually Drake’s own life and gotdammit he deserves some orchestral strings. He turned that Chief Keef vowel flow thing into a tract for emotive melody on “Fire & Desire” (that flow is still garbage, ps). He condensed the entirety of If You’re Reading This It’s Too Late into one track (“9”). He single-handedly bodies the whole ‘rapping about technology’ trope by giving you internal and external insight on how devices intersect with thoughts and emotions while providing that 90s’ realness by interpolating DMX and not letting that little experiment get corny (“U With Me”). He said tropical house-who? and went straight to the motherland to grab up that Nigerian realness to show you what’s really good with syncopated rhythms (“One Dance”). That last bit is where it becomes apparent that the greatest triumph of VIEWS is that it showcases Drake as perhaps an unsurpassed unifier of the sounds of contemporary black diaspora. Toronto then, while still remaining homebase, becomes a staging ground for global dominance through compassionate listening and playful co-mingling. In the best of ways, VIEWS can be seen as an album of many homes. Unfortunately however, this is not a concept that the album manages to truly galvanize, or make cohesive, or make a statement upon. 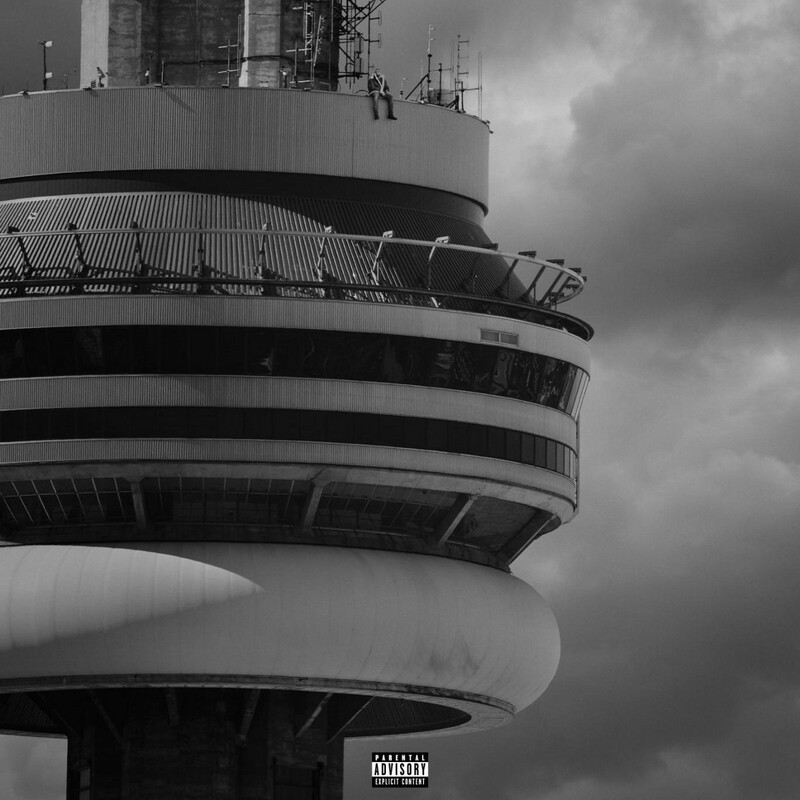 So what is he looking at atop the CN Tower? Where does a man who has accomplished so much so fast go from here? Personally, I think he’s still figuring it out. As the Russian superstition goes, one must sit before leaving to travel great distances. But by figuring it out before our very eyes, he makes art from this searching, doing great things for music and black people the world over with his commitment to marching forward to the beat of his [literal] own drummer (shouts to 40). So, despite, or perhaps because of its ambition, with VIEWS, Drake remains an artist at the top of his game. He continues to enlighten, entertain, and surprise us, providing new departures for Hip Hop to remain interesting as ever. Word to Tiffany, Stephanie, Tenesha, Saphire, and Ginny (et al).